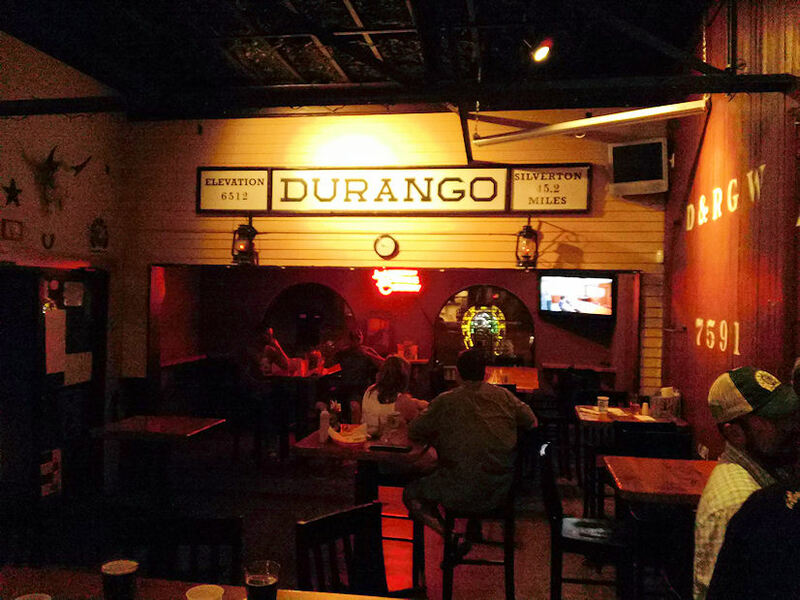 What comes to mind when you say "Weekend in Durango"? For some, it means mountain biking, hiking, or taking the Silverton-Durango train. 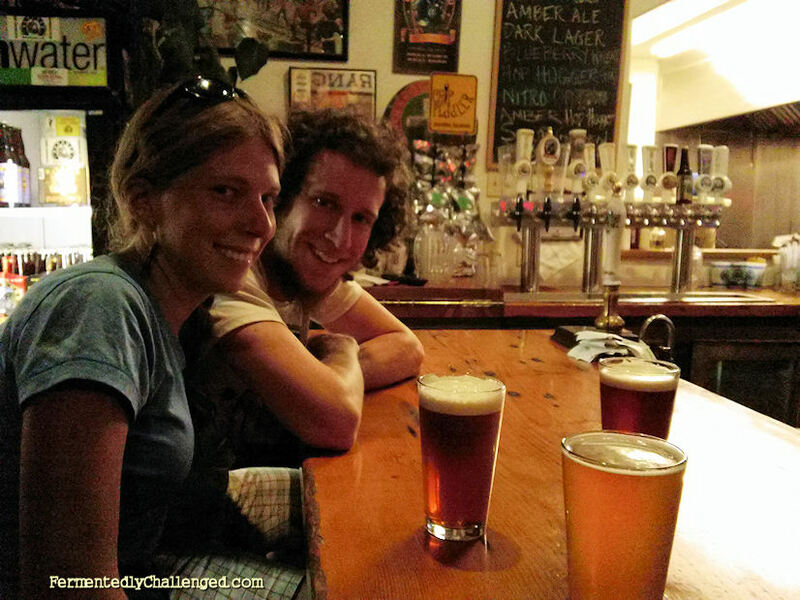 To a craft beer enthusiast, it can also mean visiting breweries! Now that I have family living in the Durango, Colorado area it gives me a great excuse to visit and take in the local brewery scene. 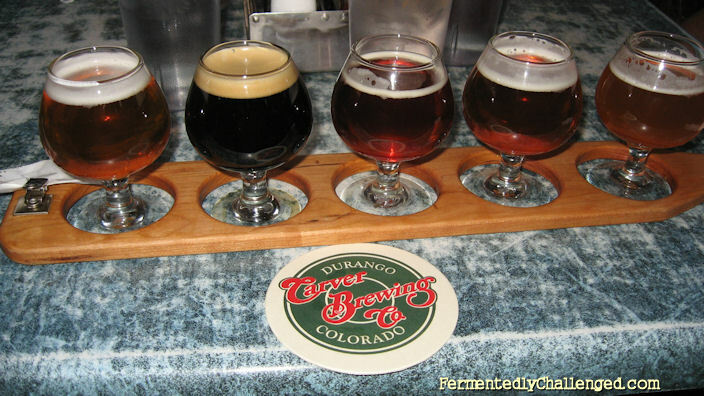 And Durango is no stranger to breweries, as they have 4 of them with another one on the way later this fall. 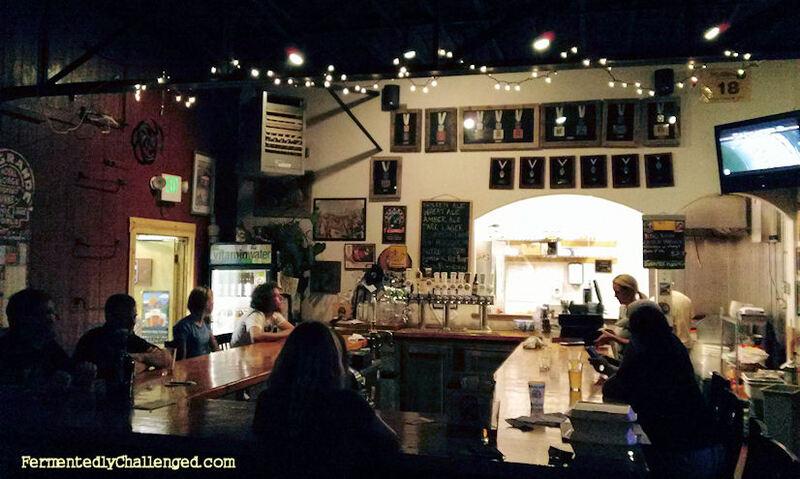 Even nearby Silverton, about 50 miles away, has two breweries. I decided to hit them all during the recent Labor Day weekend. Here is my official trip report. Being a holiday weekend, there were a LOT of people in town. There was even a big biker rally in the area and the streets were filled with choppers, hogs, leather jackets and dew rags. I managed to find a hotel on the north end of town close to one of the breweries. Between there and my relative's place, we had a base of operations for the weekend. 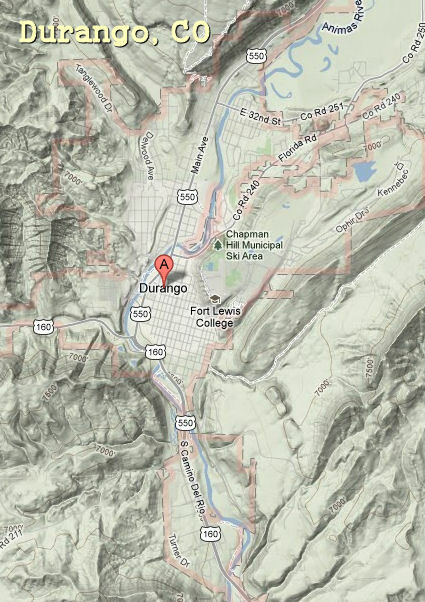 The breweries around Durango are somewhat spread out. 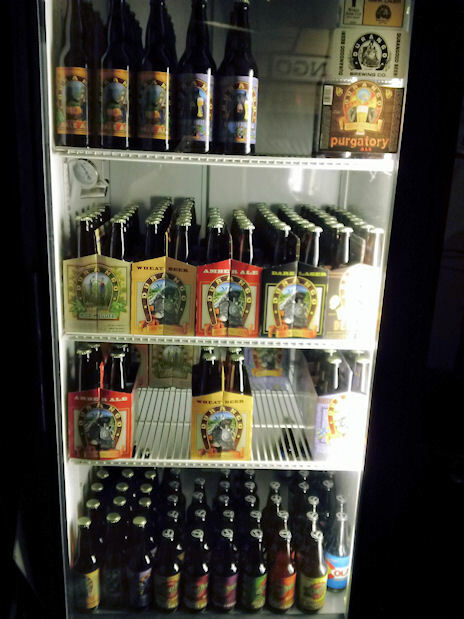 On the south side of town, you have Ska Brewing Company who's been in town for 17 years. In the heart of downtown, there is both Steamworks Brewing Company and Carver Brewing Company - about a few blocks apart. 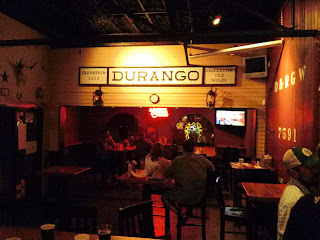 On the northern side of Main Avenue is the Durango Brewing Company. And if you go north out of town you'll pass Mountain Madness, a restaurant who is in the process of adding a brewery later this year. 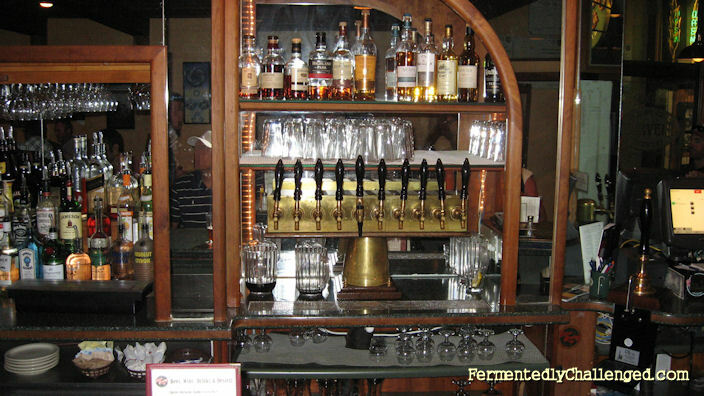 Also in the heart of downtown, you have a well known craft beer bar - Lady Falconburgh's Barley Exchange. So as the list shows, there isn't a lack a good places to find a craft beer in this town. So let's go through the list and describe my experiences at each brewery. 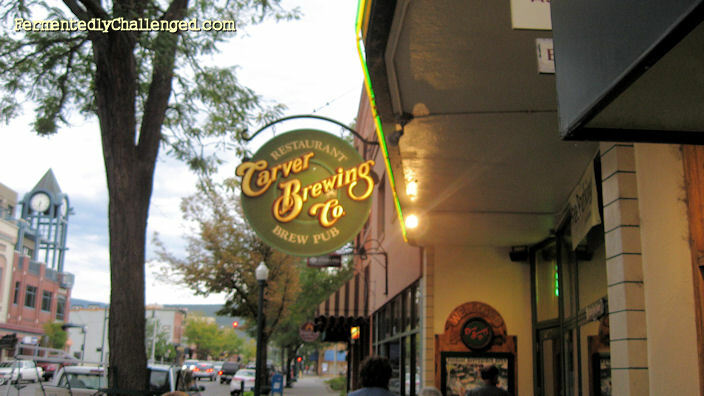 We arrived in town on a Saturday night and decided to go to Carver Brewing for dinner and sample beers. Despite the building clouds, we decided to sit outside in their beer garden in back of the brewpub under some awnings. Little did we know it was about to get windy and sprinkle a bit of rain. But after switching tables to another that was better protected from the elements, we ordered a meal. I decided to get a sampler tray with 5 different 5oz beers, and two others in my party also tried a beer. My food choice that night was a hefty buffalo burger. The sampler came on a homemade carrier that made it easy to move the 5 small snifter glasses around. The carrier made it easy to switch tables when the weather got nasty. I decided on the following brews to sample: Jack Rabbit Pale Ale, Belgian Tripel, Twilight IPA, Old Oak Amber Ale, and the Iron Horse Oatmeal Stout. I went from lightest to darkest sampling them in order, but I also jumped around a bit and finished the ones I liked best first. 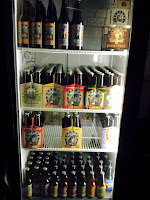 The Jack Rabbit Pale, the Iron Horse stout and the Belgian Tripel were among my favorites. 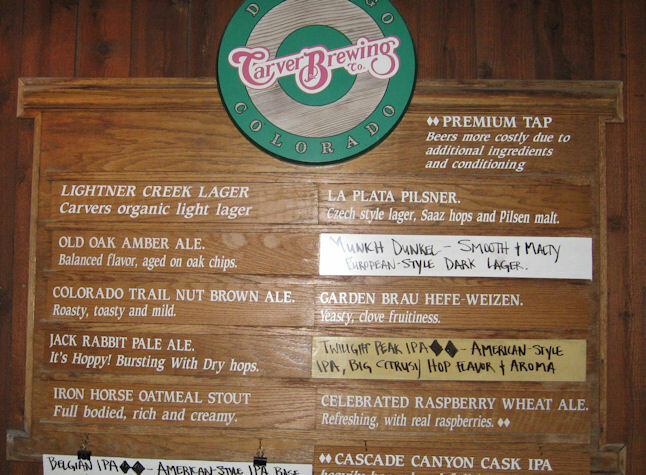 Carver's most popular beer is reportedly the Old Oak Amber Ale. It was well made, but in my opinion the others stood out a bit more. The IPA was very nice and hoppy and was quickly saturating my palate from the bitter goodness. I enjoyed every one of those beers and finished them all. I even tried a couple sips of their Raspberry Wheat Ale that another in my party had ordered. Big raspberry taste. It was fine, but I'm not much of a fruit beer fan. All total, Carver had 12 beers available on tap that night, but we stayed around only long enough to try half of them. I guess that'll be a good reason to return again sometime. By the end of our meal, the weather had cleared and it turned out to be a great night. The food was good and between the four of us in my party, we ended up spending nearly $70 on food and drink, plus a bit more for tip. Bring plenty of cash if you are going to eat and drink here. I didn't get a chance to view the brewhouse, but from out on their back beer garden, there was a small window that peaked into it, but you couldn't see much from there. I'll have to get a tour next time I go. Sunday was spent up in the mountains hiking around the Potato Hill / Spud Lake area and we didn't get back into Durango until early that evening. A couple of my family and I decided to wander over to Durango Brewing Company as it was just down the block from our hotel and we wouldn't have to drive. We arrived around 8:30pm and noticed they were only open til 9:00pm that night. The place was still moderately busy, several bikers were in the bar and several others were watching NASCAR on the TVs there. With three in my party, we each decided to order a pint of what we thought we'd like best. I ordered their Sour Golden Ale, and the others in my party ordered a Nitro Hop Hugger and their Amber Ale on cask. I'm a fan of sour ales and didn't know what to expect, but I was pleased with how the Sour Golden Ale tasted. It was very mild on the sour scale, probably about a 4 on a scale of 1-10 (10 being the most sour). I'd call this a great intro to sour beer selection for those who aren't used to sour ales. The Nitro Hop Hugger was awesome as well. The nitro gave the beer a big creamy head that lasted a long time. The beer was very hoppy and was instantly deemed a palate killer as it seemed to coat my mouth with lots of hop bitterness. Still, a fine example of an IPA. Next was their Amber Ale that was pulled from a cask. While I enjoy cask ales from time to time, I can't help but think that I'd be enjoying this beer a bit more if it were only a bit on the colder side. The beer was just under room temperature (60s) and had a big malty taste. I think next time I'll try their Amber off tap. Just as we were finishing our 1st pints, our brewtender told us that it was last call. We decided to try their Blueberry Wheat just for grins. Wow! Did that ever have a powerful blueberry aroma and taste. They must have put a bazillion blueberrys in that beer. I'm surprised it wasn't blue for the amount of fruit taste it had. Again, not a big fan of fruit beers, but they did make it one that I'll remember. Again, I didn't get to see much of this brewery as they had the brewhouse locked up for the night and it was at closing time. I'll need to return next time for a tour of this place as well. One thing that I noticed was that a couple of other patrons were getting take-home growlers. It was a big brown glass bottle with a flip top and had a big handle attached to the side of the bottle, perfect for toting around. I should have gotten one now that I think of it. Next time for sure. We closed the place down and we ended up leaving shortly before 9:30pm. 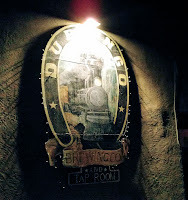 - Durango to Silverton for more breweries part 3.